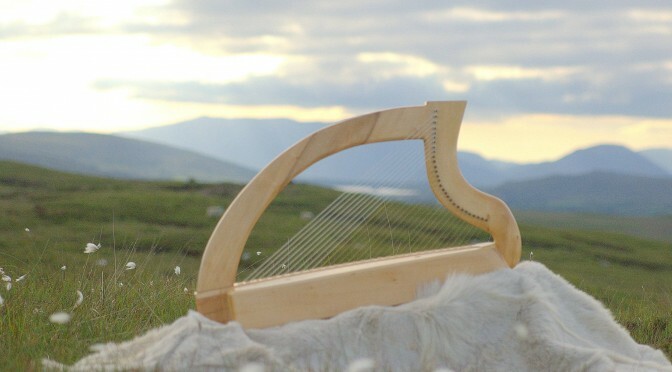 In August, Natalie Surina, of Ériú Harps, based in Oughterard, in Connemara in the West of Ireland, brought two new instruments along to Kilkenny for exhibition and sale. 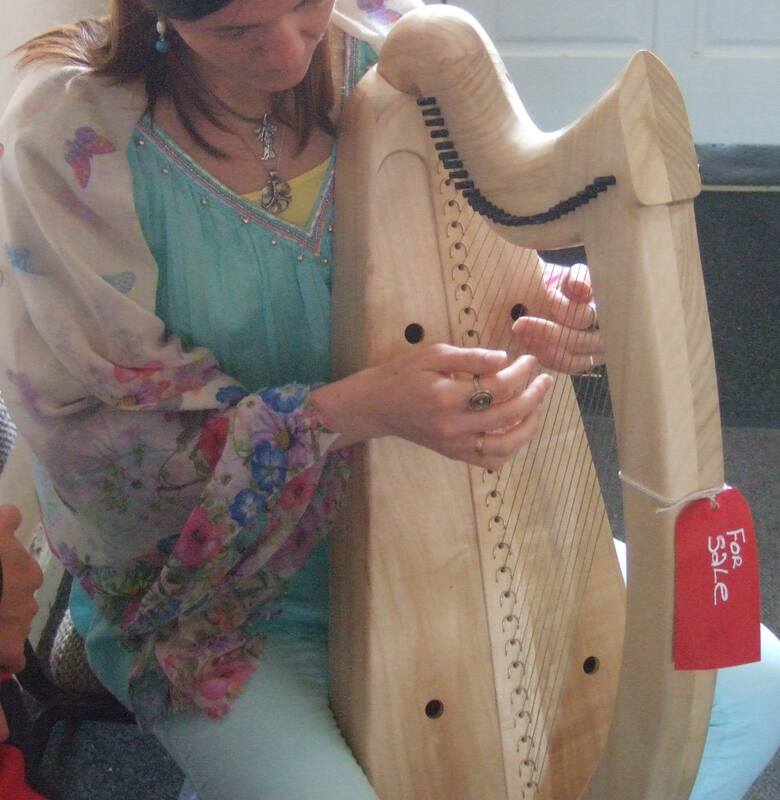 They were simplified copies of the medieval Scottish Queen Mary harp, simplified along the lines of the HHSI Student harps – the soundbox pieced from boards, and a unitary neck-pillar assembly, and without the brass cheekbands and other details. But Natalie has very much refined the idea of what a simplified copy of one of the old Gaelic harps should be like. These new instruments have leaned very heavily on the published results of Karen Loomis’s PhD research at the University of Edinburgh, and the soundboxes of the new harps were profiled and tuned following the contour maps published by Loomis. The joints as well follow the latest discoveries coming out of the Edinburgh research. I was very impressed with these instruments – I genuinely considered them amongst the best Queen Mary copies I have seen from an acoustical and playing point of view. I was very pleased that both of these harps sold during the week, and I have no hesitation in recommending this model for anyone interested in the historical clarsach. You can find out more via Ériú Harps, or via the Historical Harp Society of Ireland. And I very much look forward to seeing Natalie’s future work with Ériú harps – her attention to the research and discoveries, and her translation of this scholarly knowledge about the old clarsach traditions into craftsmanship and working new instruments, make me very optomistic that the future of the serious revival of the historical Gaelic harp traditions is on a secure footing. Previous Previous post: changes to my news blog!